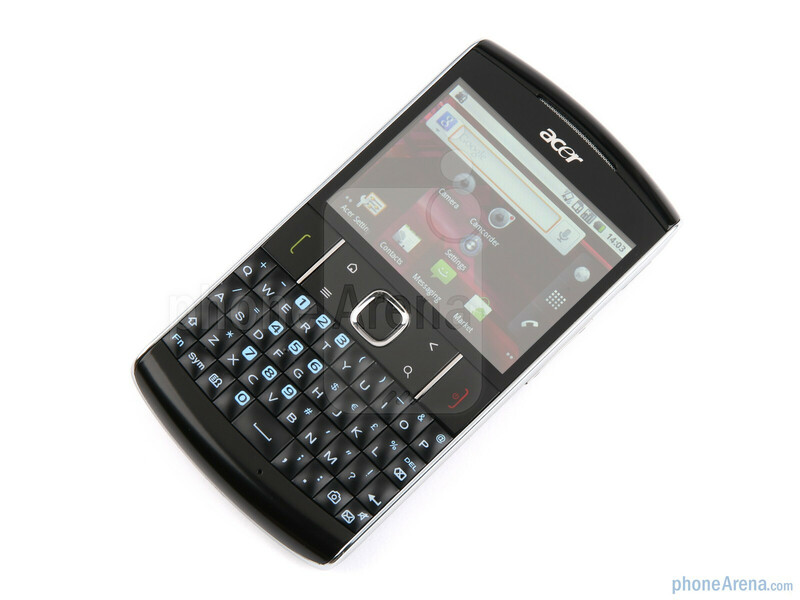 The Acer beTouch E210 is a BlackBerry-esque typing-optimized candybar phone that's sure to be easy on the pocket. 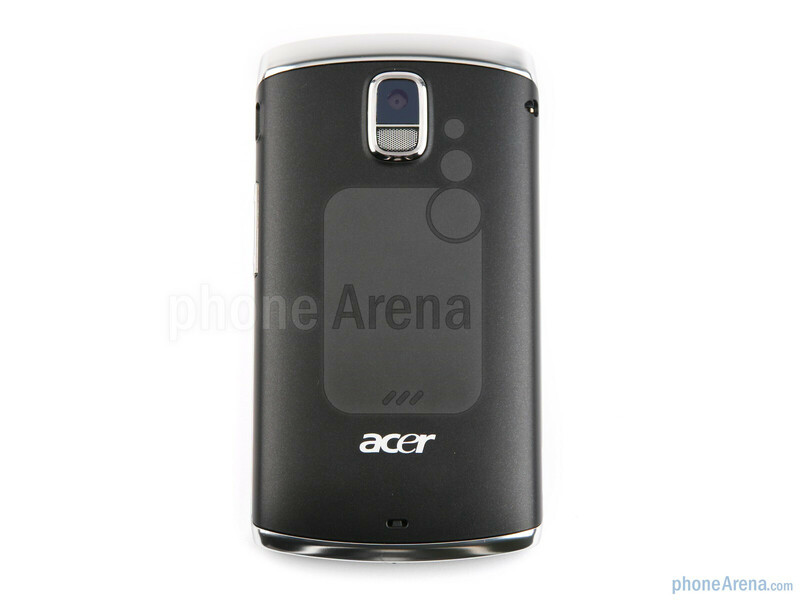 It sports a similar form factor to its ideological predecessor, which is the Acer beTouch E130, and offers a 2.6-inch resistive screen with a resolution of 320 x 240, a 600MHz Qualcomm MSM7227 processor and a 3.2MP camera. 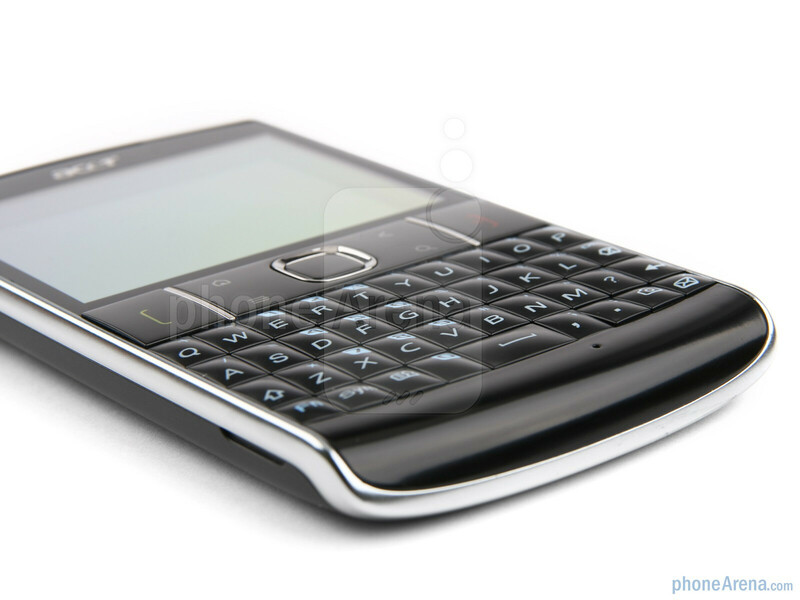 There is little doubt, however, that this phone's strong sides are its comfy to use physical QWERTY and the fact it's powered by Froyo. 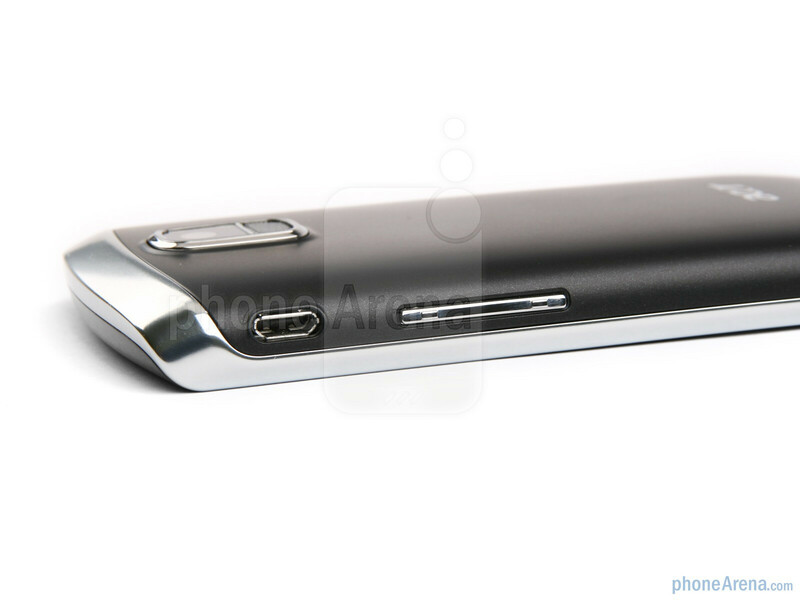 But is this enough for all these people who want to taste the sweet Android flavour with a BlackBerry-style handset? Read on for our full impressions. 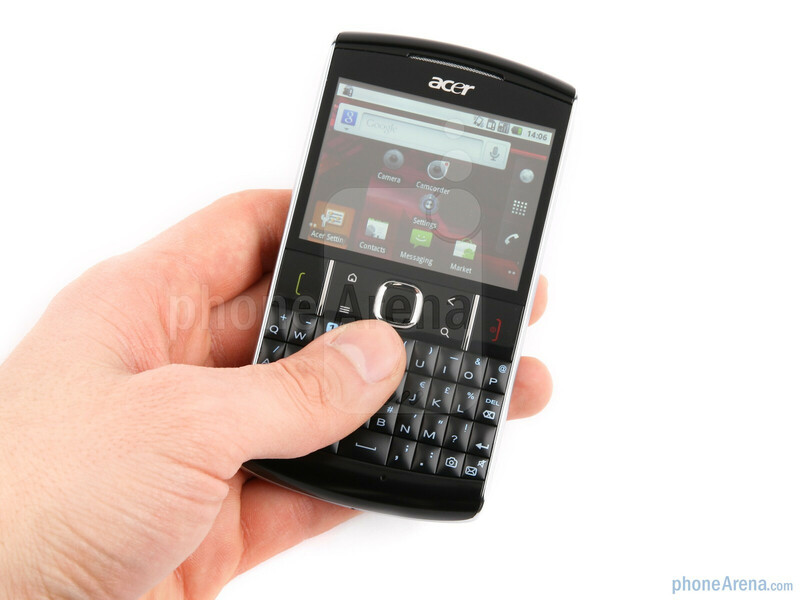 The Acer beTouch E210's design left some good impressions on us - fair enough, it's not a world beater, but it is a decent enough design for an affordable candybar phone with a physical QWERTY. The handset's body is made of plastic, but Acer has added a touch of class with the chrome-like bezel that's surrounding the phone. 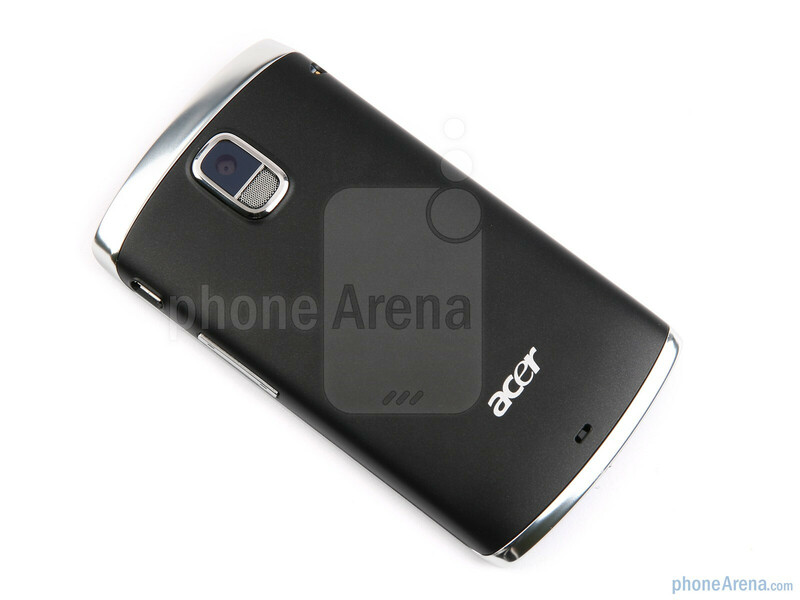 You can compare the Acer beTouch E210 with many other phones using our Size Visualization Tool. 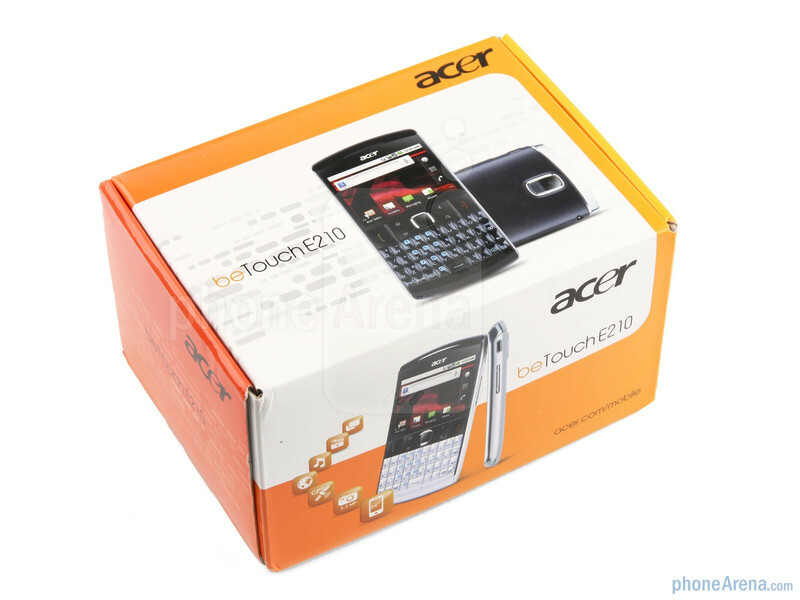 Plastic may not be the most premium material from which a device can be made, but nevertheless it has its advantage - phones made of plastic are generally lighter than those made of metal, and the fact is the Acer beTouch E210 weights only 3.88 oz. When we take into account its dimensions (4.53 x 2.46 x 0.45), it's fair to say that's pretty lightweight. All in all, we can conclude from our experience with this handset that it is comfortable to hold and feels good in the hand. The Acer beTouch E210 offers a 2.6-inch resistive screen with a resolution of 320 x 240, and that naturally means that the items on the screen don't look particularly attractive. 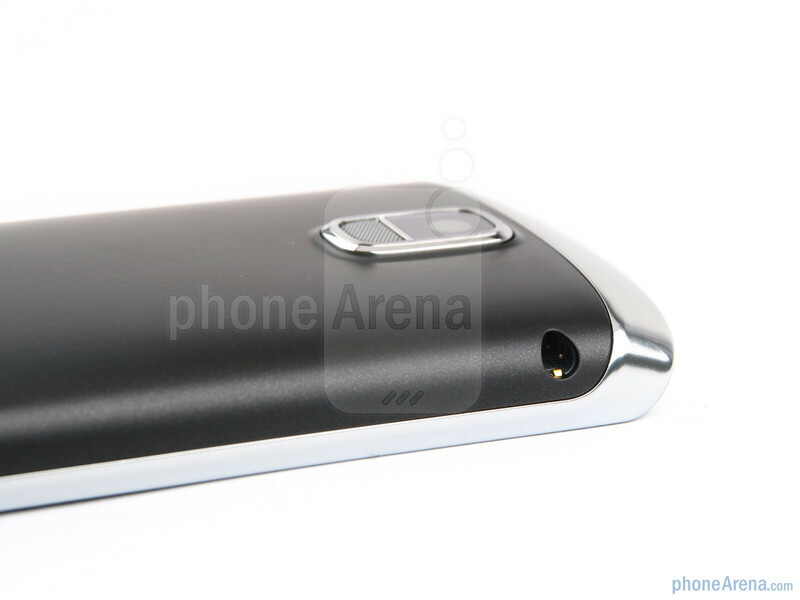 Moreover, after a few hours of use finger prints are prominently displayed all over the display. Under direct sunlight, it's virtually impossible to figure out what's on the screen, but at least the viewing angles of this phone are pretty respectable. 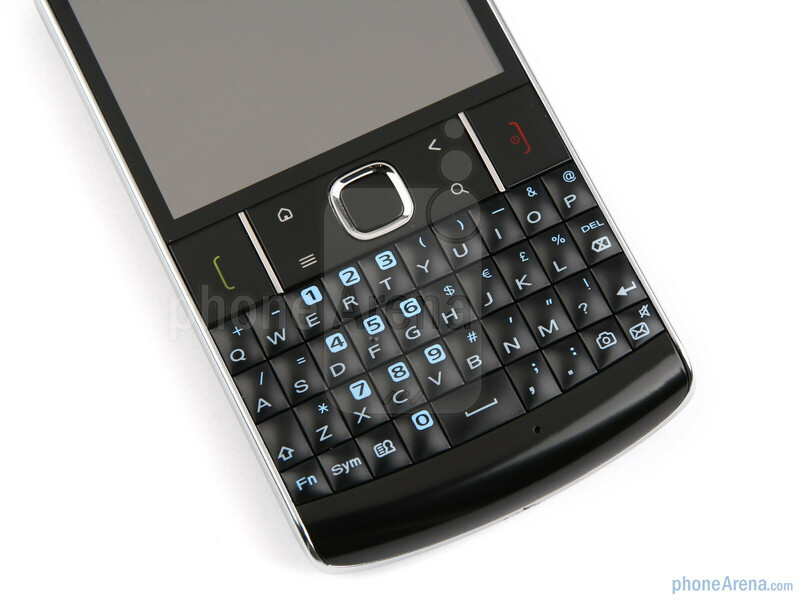 It's hard to argue that the selling point of this phone is its physical QWERTY, and after playing a little bit with it, our impressions are that it's easy and comfortable to use. Even though the buttons are not particularly big, they are raised just enough to ensure typo mistakes are a very unlikely event. On the front side we have six physical buttons (that's, if we don't take into account the keyboard buttons) - they are located below the screen, with the two large ones, which are the send and the end buttons - are on the far left and the far right sides, respectively. The others - the home, menu, back and search buttons - are centered around the trackpad. There is nothing noteworthy about the above mentioned buttons, and they get the job done, but the same can't be said about the trackpad, which is not very convenient to use. 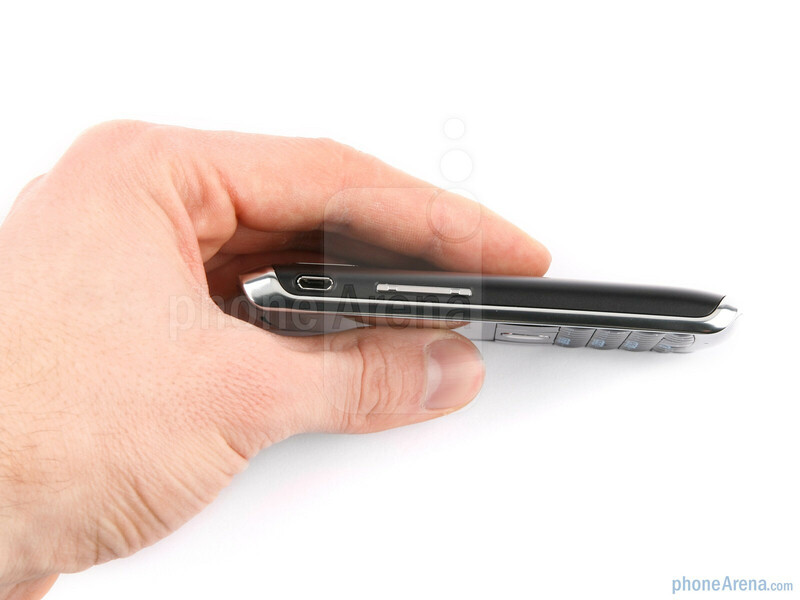 Moreover, it's not very easy to operate on a 2.6-inch resistive display, so the not-so-good trackpad is a real con. 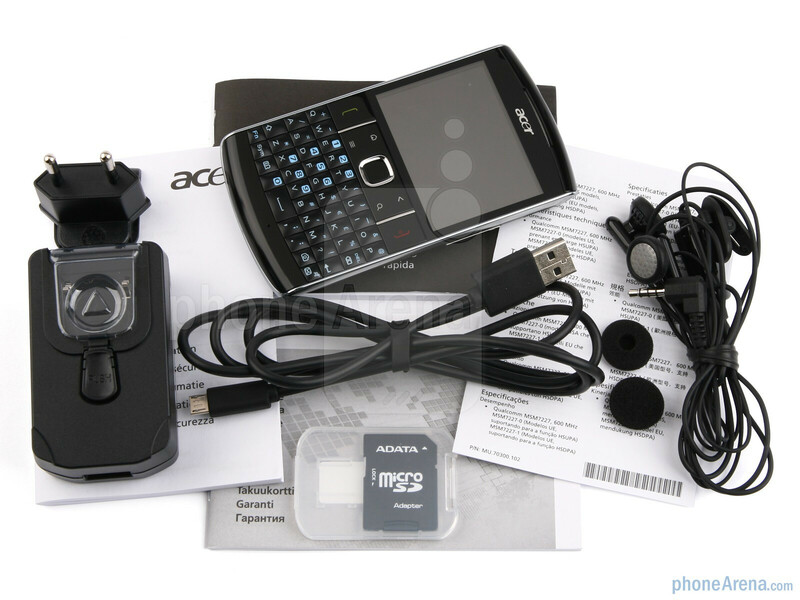 The Acer beTouch E210 sports a clean design - there is nothing on its top and bottom sides, while on the right are the USB charger and the volume rocker, on the left is the 3.5mm headphone jack and on the back is located the 3.2MP camera. try downloading juice defender !!!!!! i have been using this phone for the past 3 weeks. 1.it processes unwanted apps which i have never even opened so need to force stop it every 2hrs. 2.unlike other androids this cell does not have a task manager which gives an option of killing apps. 3.it take a lot of time to process contacts i have no clue why n also dont no if its my phone or is it usually like this. 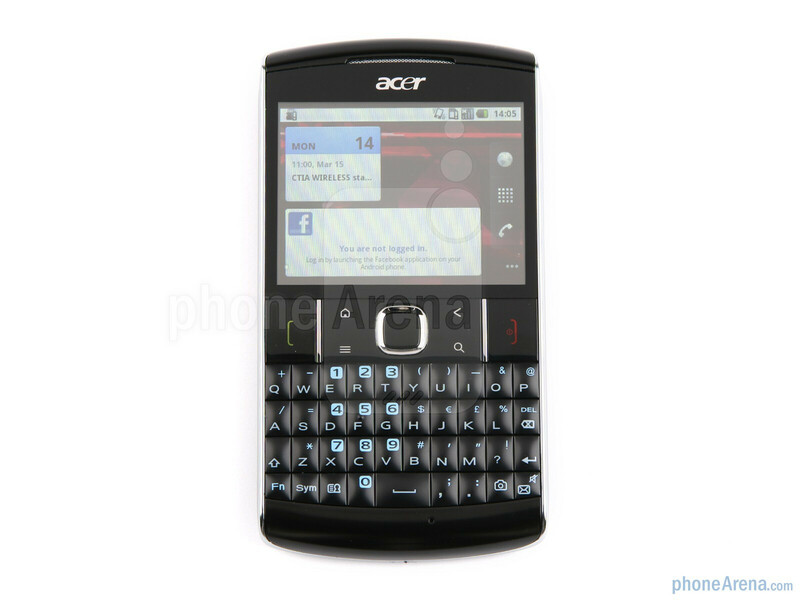 at the end i m never coming back to acer n m trying to get it exchanged with some other phone.